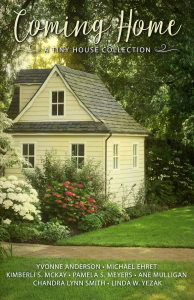 One of the preconceived notions I was disavowed of when researching tiny houses for my novella “Big Love” (which is part of the Coming Home: A Tiny House Collection, published by Penwrights Press), is that these small living spaces are Spartan, utilitarian, and basically cute. But certainly not attractive or luxurious. Tiny houses are, by nature, utilitarian. That’s part of their whole minimalist attraction. But like a Frank Lloyd Wright Usonian style home (also part of my novella), that doesn’t mean unattractive. Today in my email I received another reminder of how jaw-droppingly beautiful these homes can be, if that’s what you’re looking for. If you click on the photo above you’ll be taken to a Tiny House Talk article about that house. Treat yourself and watch the video. It’s five minutes you won’t feel is wasted. Oh, and the inside is where most of the gorgeousity happens. Then treat yourself further and check out the reviews for Coming Home (and “Big Love”) at Amazon. Give the book a try. I think you’ll like it. And with seven novellas in one book, it’s a luxury you can afford.